SUVS may be in vogue but the four-door pickup remains perfectly in place to continue wooing hearts and minds in Bahrain thanks to a move by leading US manufacturers in particular to make them bigger and more luxurious. Interior space seems to have no upper limits. The rear-seat area of the latest Ram 1500 Crew Cab, for example, boasts more than 114cms of legroom, enough for a seven-foot tall person, one motoring scribe suggested. That’s more legroom than many luxury sedans. Handling and performance has been improving too. But size and capability are not the only reasons who pickups remain popular. Today’s new vehicle customers appear eager to spend more on comfort. Luxury, however, is different for pickup buyers versus car fans, explained Ram interior designer John Godneau: “In a pickup, luxury is when it does something for you,” he said. “Designers want a subconscious connection to communicating the purpose of the truck. Materials that look good in a luxury sedan, they don’t have a purpose. In a pickup, materials have an interlocking look, they make it look strong. Pickup design shapes wouldn’t work in a car. One motoring correspondent translated that difference between car and truck luxury to a real-world experience. During an off-road drive in a Ram 1500 Laramie crew cab with optional air springs and standard electronic ‘Active Tune Mass Modules’ (both systems designed to counteract noise and vibration), he experienced eerie silence through foot-deep sand ruts. As an example of highly developed automotive technology, there are no luxury sedans in appears that can fully tame the Wild West, plus Bahrain’s highways on a busy Thursday night and the occasional venture off road in Sakhir with the level of luxury available in today’s pickups. 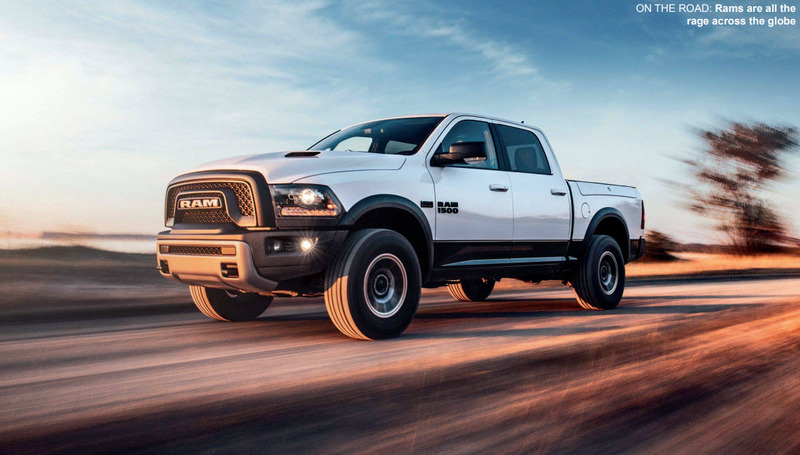 GulfWeekly’s motoring correspondent Kristian Harrison has been invited to put the new RAM 1500 to the test on a media drive in Dubai on December 5 and 6. But if you can’t wait till then, check out the pick-ups on show at Behbehani Bros showroom in Sitra. One of the stars on display, with limited stock availablity, is the RAM Bighorn, starting from BD16,000. For more details, call 17459955.